Share your stories, after all we are dealing with a lot of PTSD, trauma, and mental health problems, so it’s nice to escape once in a while and understand others by the stories they share, funny, sad or etal. being the holiday of choice this month, these facts and TRIVIA should help you understand and laugh at the holiday’s WEIRD BEGINNINGS! Because of the unknown, Halloween is the one of the most captivating holidays, often celebrated by both adults and children. The element of surprise makes it fun and unpredictable. 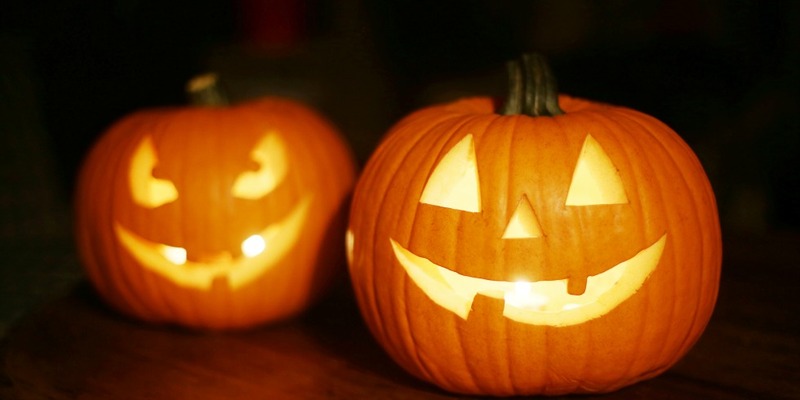 Enlighten yourself with Halloween trivia and fun facts to enjoy the holiday even more. Take the trivia and make a quiz for your next party! Pumpkins also come in white, blue and green. Great for unique monster carvings! Signs of a werewolf are a unibrow, hair palms, tattoos, and a long middle finger. Vampires are mythical beings who defy death by sucking the blood of humans. In 1962, The Count Dracula Society was founded by Dr. Donald A. Reed. To this day, there are vampire clubs and societies with people claiming to be real vampires. There really are so-called vampire bats, but they’re not from Transylvania. They live in Central and South America and feed on the blood of cattle, horses and birds. Many people still believe that gargoyles were created by medieval architects and stone carvers to ward off evil spirits. “Halloween” was made in only 21 days in 1978 on a very limited budget. The movie was shot in the Spring and used fake autumn leaves. The mask used by Michael Meyers in the movie “Halloween” was actually William Shatner’s mask painted white. The character Laurie Strode, played by Jamie Lee Curtis was named after John Carpenter’s first girlfriend. While the setting for the story is in Illinois, the vehicles have California license plates. Halloween is on October 31st, the last day of the Celtic calendar. It was originally a pagan holiday, honoring the dead. Holloween was referred to as All Hallows Eve and dates back to over 2000 years ago. If you see a spider on Halloween, it is the spirit of a loved on watching over you. Worldwide, bats are vital natural enemies of night-flying insects. The common little brown bat of North America has the longest life span for a mammal it’s size, with a life span averaging 32 years. In about 1 in 4 autopsies, a major disease is discovered that was previously undetected. The Ouija Board ended up outselling the game of Monopoly in its first full year at Salem. Over two million copies of the Ouija Board were shipped. The following was posted on Micki Peluso’s blog. I found it so interesting and informative I had to post it for all of you that are following me. 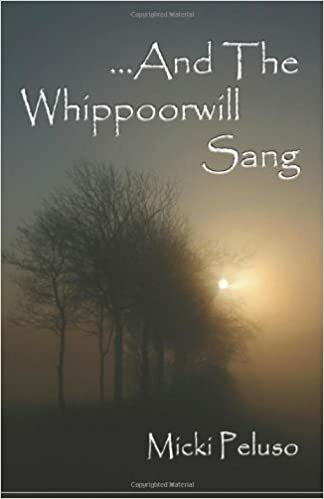 Micki has written a book about her daughter being killed by a drunk driver and I strongly urge you to buy it or read it on Kindle, and then kindly leave her a good review. She is a great writer and FRIEND. May Day is usually, but not always, celebrated on the first of May, although in recent years enthusiasm for the holiday has waned considerably. Many Staten Islanders in New York can recall festivities in the past several decades which included springtime sports, and May Poles decorated with bright ribbons streaming from the top of the pole. Young children were traditionally garbed the ribbons and danced around the pole, reveling in the warmth of spring. Older girls crowned a May Queen, and young girls often made baskets which they filled with flowers and hung on the doors of their friends. Many parts of the country still participate in these activities although my borough of Staten Island does not seem to be among them. The month of May has always been a favorite month, with spring in full bloom and summer close behind. On the original Roman calendar, May was the third month of the year but the revised calendar moved it to the fifth month. The origin of the name, researchers say, most likely comes from Maia, a mother of Mercury. In Roman times and throughout history May has been considered an unlucky month for marriages, stemming back to the days when both the festival of the dead and the festival of the goddess of chastity were celebrated in May. This may explain the popularity of June weddings. Vassar College in Poughkeepsie, New York, has held May Day celebrations with field sports, dancing around the May Poll and crowning a May Queen with a headdress of fresh flowers. On some occasions college records in sports were broken on that day, possibly due to the enthusiasm for the holiday. The California State Norma School in San José originated May Day festivities in 1902, with games for their kindergarten students. By 1910, the popularity of this holiday had grown to such proportion that 6000 spectators gathered to watch the celebration. These observances have little to do with the ritualistic and symbolic fetes of olden days. Historians of folk customs have traced the May Day ritual back to the Floralia of the Romans, the festival of Flora, goddess of flowers. This festival was instituted in 238 BC and was celebrated from April 23 until May 3rd. During the four or five centuries that Rome occupied Britain, the May Day Festival was introduced and flourished. One theory states that the May Day was initially a phallic festival in India and Egypt, marking the renewal of the fertility of nature at springtime. Researchers claim that the Romans considered the May Poll to be a phallic symbol, and their merrymaking included quite a few licentious acts which were the focus of May Day celebrations in England for some time. The Morris Dance was a pagan dance which consisted of male dancers in fantastic costumes dancing about the May Poll. The name Morris, a word of Moorish origin, is associated with mummers, who acted out the ritual of the pagan god who celebrated his revival after death. Another custom was the May Day procession of a Man-horse, in Cornwall, where the central figure, “Oss Oss”, was a witch doctor disguised as a horse and wearing a mask. Dancers acted as attendants, sang May Day songs and beat on drums. These activities greatly offended the Puritans, who coerced the Parliament of 1644 to ban the erection of May Polls. The Restoration repealed the prohibition, and in 1661, to celebrate the revival of the old custom, a May Poll, 134 feet high was raised. Sir Isaac Newton purchased the pole in 1717 and used it as a support for his telescope in Essex. The New England Puritans also voiced objections to May Day festivities, which incited Gov. Endicott of Massachusetts in 1660, to lead a group of men to Merrymont, where the dreaded May Poll had been erected. The men chopped the pole down and named the place Mount Dragon, after the Idol of the Philistines that fell before the Ark. When Labor Day was established in this country, the workers of Europe decided to hold a similar celebration, which they observed on May 1st. Due to lively labor politics, the date became better known for riots, bombings and burned cities. Radicals in the U.S. followed the European example and held demonstrations on May 1st. Later many U.S. cities, particularly New York City, demonstrated on May Day with parades of radical, labor, and other organizations, followed by mass meetings. The beginning of May, whether celebrated with May Polls and flower festivals, or labor demonstrations, or no celebrations at all, introduces a month with few surprises. While March “comes in like a lion and goes out like a lamb,” and April teases with balmy weather one day and pseudo-winter the next, the month of May brings a stable promise of ever better days to come.